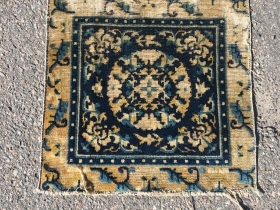 I live in Luleå, north Sweden. 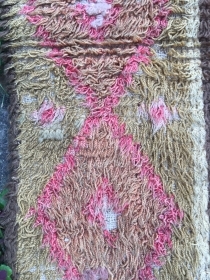 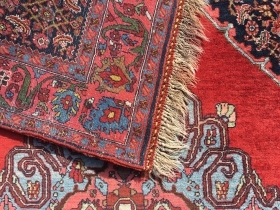 I´m a collector and user of old rugs and textiles. 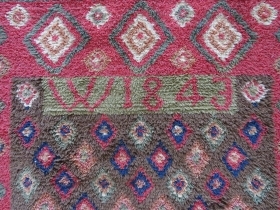 Colours, shiny wool, patina and the weavers ability to create something beautiful, turns me on. 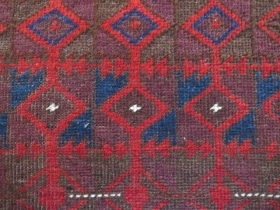 When I´m not into wool I am a journalist, rock ´n´ roll guitarist and flyfisher. 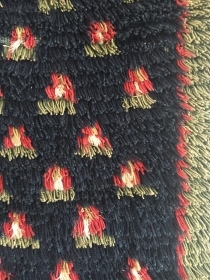 Skiing with the family is one of my favourits. 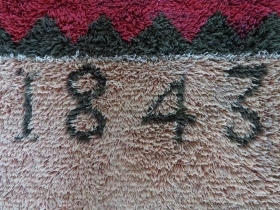 active since March, 27, 2009. 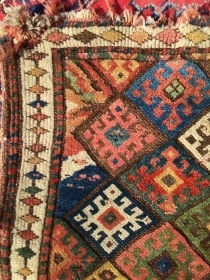 High quality Bidjar rug, 218x141 cm, made between 1930-1940. 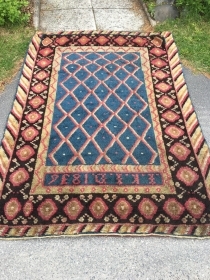 It’s in very good condition and colours looks nice. 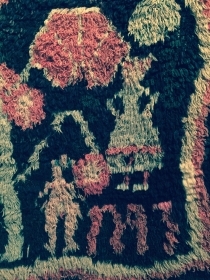 Two Chinese, probably Ningxia, squares from late 18th c. Rough condition, good colours and lovely wool. 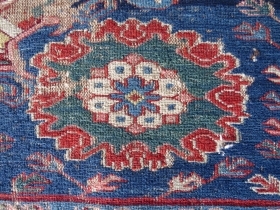 Kashan silk Sadle rug, second half 19th c. In very charming condition and with genuine wear. 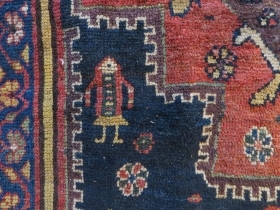 a luxury and very rare item. 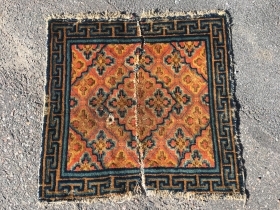 Chinese square early 19th c, good pile but cut in half. 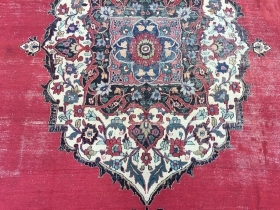 Antique very beautiful Khamse rug, 270x156 cm, in good condition. 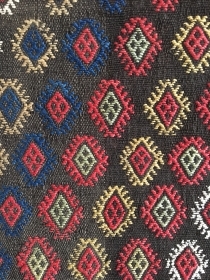 All colours looks nice. 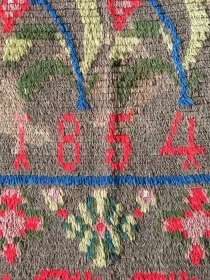 Finnish ryijy rug, 167x134, made about 1830. 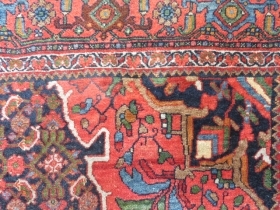 In used condition. 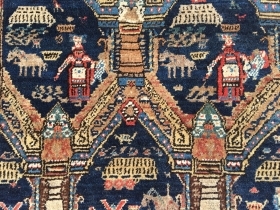 Antique Tibetan khaden rug, 1850-1875. 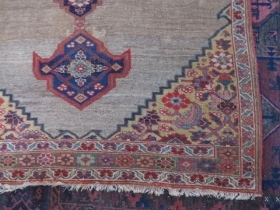 In good condition and with lovely colours. 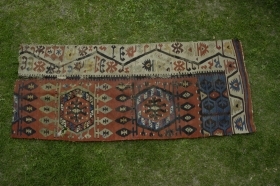 Antique East Anatolian divan rug fragment, 1850-1890, 218x96 cm. 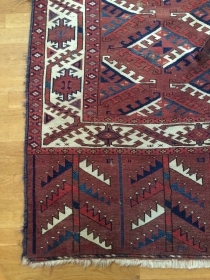 Nice colours as is but they will be even better after a wash. 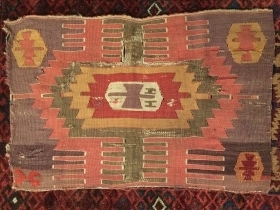 Early Central Anatolian Kilim Fragment, ca.1800, 50x80cm, great early colors with a beautiful aubergine background and a very nice patina. 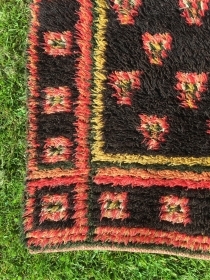 Kind of cool rug, 176x100 cm. 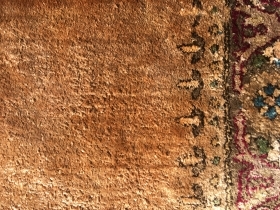 One big restauration see picture number six. 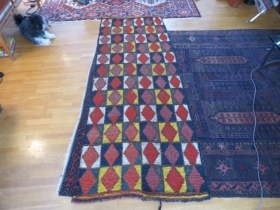 Antique Finnish ryijy rug, 184x148 made 1820-1835, very good colors and condition but also a couple of holes. 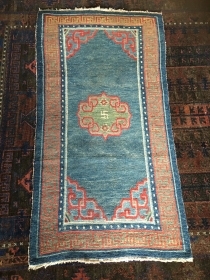 Old Chinese mat, late 19th c. Some corrosion. 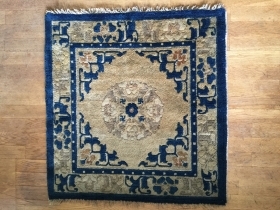 Very fine Chinese mat, 68x68 cm. 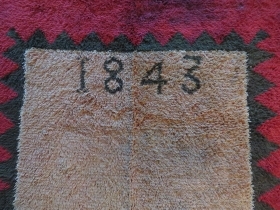 Good condition, 1850-1875. 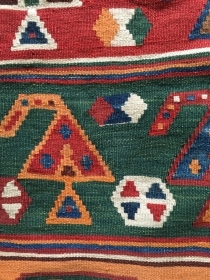 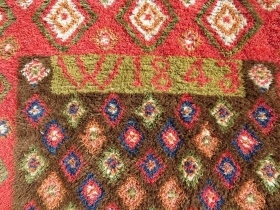 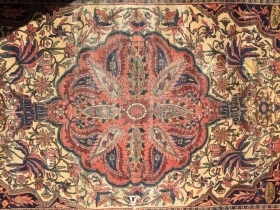 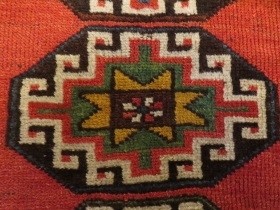 Small ryijy rug, probably from Åland, Finland, signed and dated ast 1854. 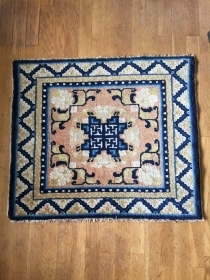 It measures 134x93 cm. 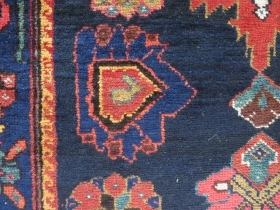 and has a few bright spots. 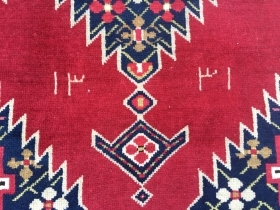 Very nice Qashgai gelim in good condition, 1920-1950. 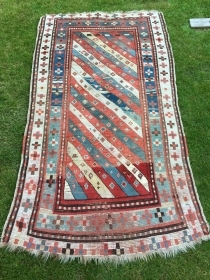 It measures 258x150 cm. 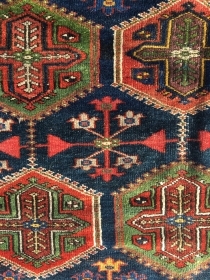 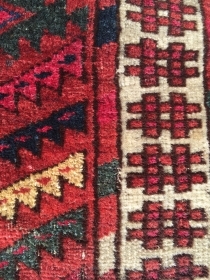 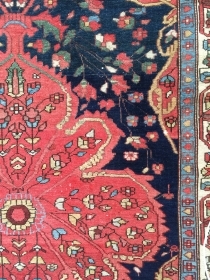 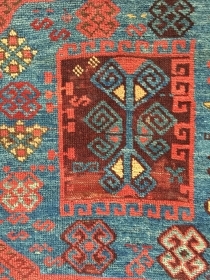 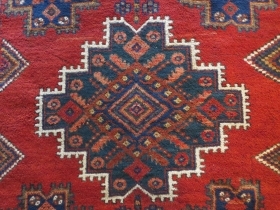 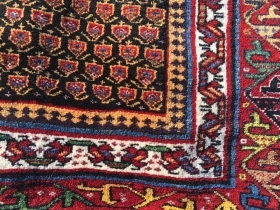 Perhaps a Feridan rug, in dozar size, made about 1930. ok condition with just some wear and nice colours. 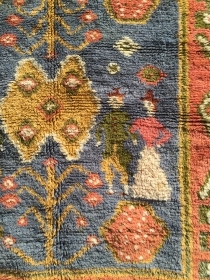 Antique East Anatolian rug in good condition, some small repairs and minor mothing. 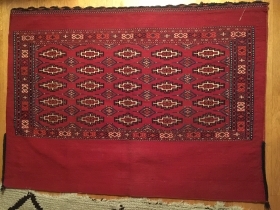 250x127 cm. 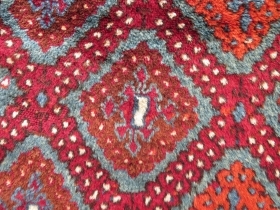 Long shiny wool and nice colours. 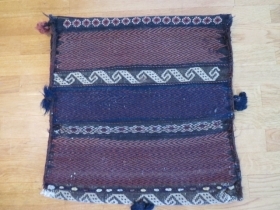 Perhaps not antique but a very nice Baluch bag with good colours and condition. 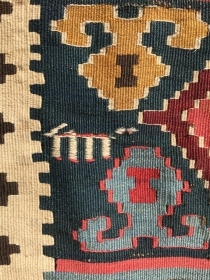 Antique Hotamish kelim fragment, c Anatolia, age? 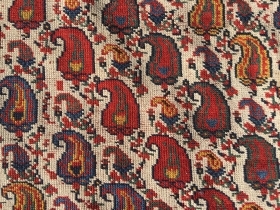 not 20th c. anyway.